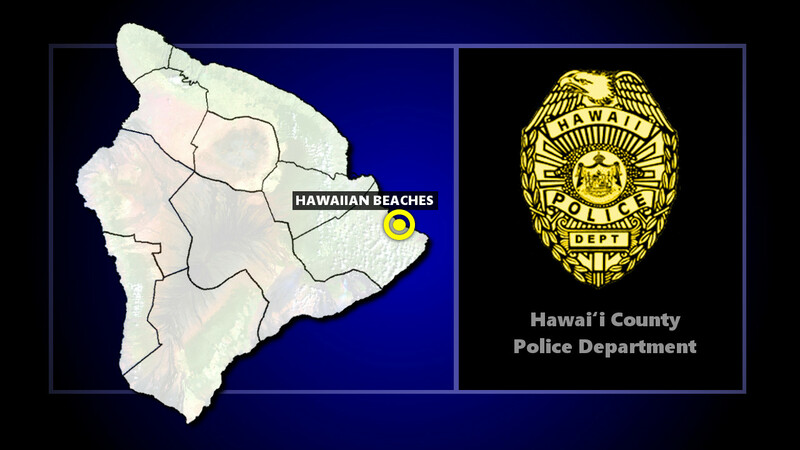 HAWAIIAN BEACHES - Another officer-involved shooting has occurred in Puna, this time on Kahakai Boulevard in Hawaiian Beaches. Video by Daryl Lee, edited by BIVN, published Dec. 11, 2018. (BIVN) – Hawaiʻi County Police report a fatal officer-involved shooting occurred on Kahakai Boulevard in the Hawaiian Beaches area of Puna on Tuesday. A Nixle alert issued at 8:37 a.m. announced a road closure at Kahakai Boulevard between Olaʻo Street and Kikoʻu Street due to “a police investigation.” Traffic was being diverted through Auina Street as a detour. This morning, (December 11), at approximately 7:45 am, Puna District Police Officers stopped to check on a car parked with its hazard lights activated on the shoulder of Kahakai Boulevard near the intersection with Kikoʻu Street. An officer made contact with a female and lone occupant of the vehicle and subsequently determined she had an outstanding bench warrant, and that she was going to be arrested. The female indicated she would not come out of the car and then jumped into the rear of the vehicle; grabbed a rifle and refused to let go of it despite repeated orders to do so by officers. The initial Officer fired his duty weapon, injuring the female. Officers at the scene administered CPR and first aid to the female who was transported to the Hilo Medical Center where she was pronounced dead. This is the third fatal officer-involved shooting in the Hawaiian Beaches-area in three months. Police say they have initiated terroristic threatening and unattended death investigations. An autopsy has been ordered to determine the exact cause of death, police say. The name of the decedent is being withheld pending positive identification and notification of next of kin. As is standard practice in any police shooting, the Police Department’s Area I Criminal Investigations Section will conduct a criminal investigation into the circumstances surrounding the shooting and associated death investigation. The Office of Professional Standards will conduct an administrative investigation. The officers present, as the events unfolded have 12, 11, and less than 1-year of Police Service. Police ask anyone who may have witnessed this incident or has information about it to call the Police Department’s non-emergency line at 935-3311 or contact Detective Frank Mohica at (808) 961-2379 or frank.mohica@hawaiicounty.gov.